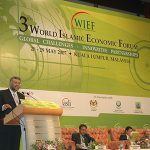 The 8th World Islamic Economic Forum was held in the Iskandar Development Region of the state of Johor, Malaysia, the fastest growing economic region in the country and one of the most significant business districts in Southeast Asia. Held at the Persada Johor International Convention Centre on 4 – 6 December 2012 with the theme “Changing Trends, New Opportunities” the 8th WIEF discussed the changing dynamics in global business today after the Arab uprising and Eurozone crisis which leaves many doors open to new business opportunities elsewhere across the globe. 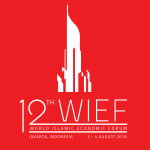 Download the forum report here. 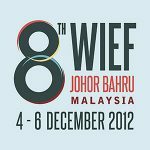 The 8th World Islamic Economic Forum (WIEF) with the theme, “Changing Trends, New Opportunities” was held in Johor on 4 – 6 December 2012 against the backdrop of continued uncertainty in global financial markets, on-going concerns about the stability of the Eurozone and questions about the sustainability of Asia’s export-based growth model. The Forum was opened with a Keynote Address by the Hon. Dato’ Sri Najib Tun Abdul Razak, the Prime Minister of Malaysia. 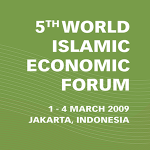 The Forum also saw the attendance of Their Excellencies President Ikililou Dhoinine of Comoros, Deputy Prime Minister and Minister for Finance Tharman Shanmugaratnam of Singapore, Ministers from Pakistan, Qatar, the UK, Morocco, Turkmenistan and Tatarstan, the President of the Islamic Development Bank, Chairman of the Moro Islamic Liberation Front, Chief Executives of leading corporations, thought leaders and decision makers from the private and public sectors, women and young entrepreneurs as well as representatives of the creative arts. 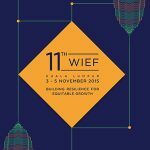 The 8th WIEF attracted over 2,100 participants from 86 countries. 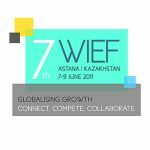 Expert presentations and constructive discussions were held on key issues including the global economy, developing waqf funds, intensifying business innovation, accelerating the development of technocrats, supporting entrepreneurship and SMEs, empowering businesswomen and young entrepreneurs, advancing Islamic Banking and Finance, encouraging public and private sector partnership in disaster mitigation, seizing business opportunities in nanotechnology, promoting business and investment opportunities in ASEAN, Johor, Comoros and Mindanao, protecting the environment and enhancing leadership. 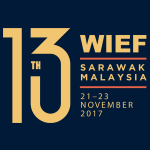 A session on Social Entrepreneurship was addressed by HRH Raja Zarith Sofiah binti Almarhum Sultan Idris Shah, consort of HRH Sultan of Johor. A Business Networking Breakfast was organised to bring together entrepreneurs, businessmen and policy makers in eleven sectors: Technology, Infrastructure, Logistics, Islamic Banking and Finance, Oil and Gas, Healthcare, Tourism, Agriculture, Education, Halal and Green industries. 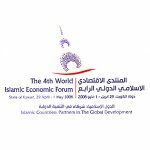 These sessions proved immensely popular and generated vigorous dialogues on trade and investment opportunities across the OIC – and between Muslim and Non-Muslim economies. 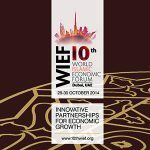 The dialogue Sessions led by the Islamic Chamber of Commerce, Industry and Agriculture (ICCIA), the Islamic Development Bank (IDB) and the Islamic Centre for Development of Trade (ICDT) as well as the Independent Industrialists and Businessmen’s Association of Turkey (MUSIAD) also generated discussion on international collaborations facilitated by these institutions. 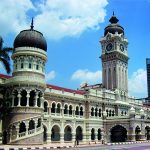 Eight agreements relating to nanotechnology, property development, ICT, an innovation centre and a motorsport city amounting to RM28 billion were signed during the Forum. The Forum recorded its appreciation to the Hon. 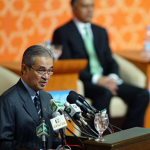 Prime Minister and the Government of Malaysia as well as the Hon. 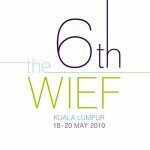 Chief Minister and the Government of the State of Johor for co-hosting the 8th WIEF in Johor Bahru, Malaysia and for the warm hospitality accorded to all participants. 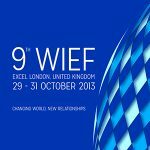 The Forum agreed to hold the 9th WIEF on 29 – 31 October 2013 in London.